Nominated by William H. Taft on April 1, 1909, to a new seat authorized by 35 Stat. 685. Confirmed by the Senate on April 26, 1909, and received commission on April 26, 1909. Service terminated on December 29, 1924, due to appointment to another judicial position. Nominated by Calvin Coolidge on December 2, 1924, to a seat vacated by Julius Marshuetz Mayer. Confirmed by the Senate on December 20, 1924, and received commission on December 20, 1924. Served as chief judge, 1948-1951. Assumed senior status on June 1, 1951. Service terminated on August 18, 1961, due to death. Griffith, Kathryn P. Judge Learned Hand and the Role of the Federal Judiciary. Norman: University of Oklahoma Press, 1973. ________. The Philosophy of Judge Learned Hand. Wichita, Kans. : Wichita State University, 1968. Gunther, Gerald. "Administration in the Second Circuit, From the Perspective of Learned Hand's Days." Brooklyn Law Review 60 (Summer 1994): 505-15. ________. "Judge Learned Hand: The Man, the Myth, the Biography." Journal of Supreme Court History (1995): 47-56. ________. "Learned Hand and the Origins of Modern First Amendment Doctrine: Some Fragments of History." Stanford Law Review 27 (February 1975): 719-73. ________. Learned Hand: The Man and the Judge. New York: Knopf, 1994. Jordan, Constance, ed. Reason and Imagination: The Selected Correspondence of Learned Hand. New York: Oxford University Press, 2013. Kellogg, Frederic R. "Learned Hand and the Great Train Ride." The American Scholar 56 (Autumn 1987): 471-86. Lancaster, Robert S. "Judge Hand's Views on the Free Speech Problem." Vanderbilt Law Review 10 (February 1957): 301-31. ________. "The Jurisprudence and Political Thought of Learned Hand." Ph.D. diss., University of Michigan, 1954. Schick, Marvin. Learned Hand's Court. Westport, Conn.: Greenwood Press, 1978. Stone, Geoffrey. "Judge Learned Hand and the Espionage Act of 1917: A Mystery Unraveled." University of Chicago Law Review 70 (Winter, 2003): 335-58. Learned Hand correspondence with Arthur Dougan. 28 cm. ; correspondence from law clerks regarding dinner for Hand in 1939; correspondence regarding donations for bust of Hand; letter from Hand to Dougan regarding bust; letter from Hand to Dougan in reply to letter regarding Hand's 85th birthday; Dougan's reminiscence of serving as Hand's law clerk. 110 linear ft. (ca. 65,000 items); finding aid; restricted; collection contains correspondence, letterpress books, diaries, speeches, writings, opinions, memoranda, reports, financial records, newspaper clippings, maps, memorabilia, and other miscellaneous papers. 3 ft. (30 items); finding aid; concise summaries of civil, criminal, and admiralty trials Hand presided over as U.S. district judge. Hand, Learned. "A Conversation with Learned Hand, 1960." Interview conducted in November 1960 by Louis Henkin and Paul Bender. Learned Hand Papers, Harvard Law School Library, Boston. Transcript, 17 pages. Hand, Learned. "Untitled Interview of Learned Hand." Interview conducted in December 1958 and January 1959 by Gerald Gunther. Learned Hand Papers, Harvard Law School Library, Boston. Transcript. Hand, Learned. "The Reminiscences of Learned Hand." Interview conducted by Louis Henkin. Oral History Research Office, Butler Library, Columbia University, New York, 1957. Transcript, 169 pages. Permission required. 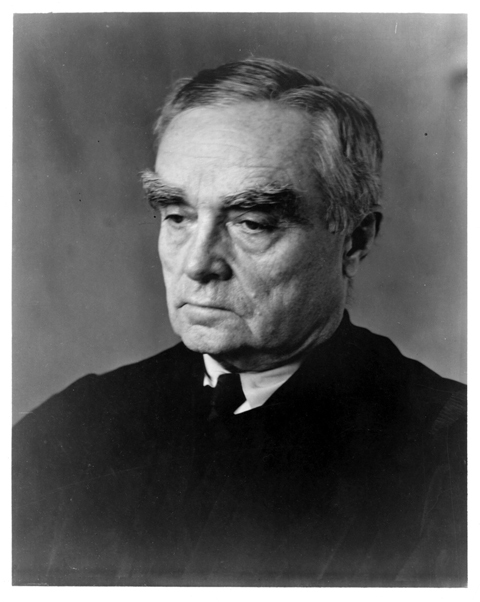 Judge Learned Hand; artist unknown; Photograph; early 1940s; Legal Portrait Collection, Harvard Law School Library, Cambridge, Mass., record identifier: olvwork371837. Reference image courtesy of the Historical & Special Collections, Harvard Law School Library. Further reproduction prohibited without permission of the library. Learned Hand; artist unknown; Photograph; ca. 1910; Learned Hand Visuals Collection, Harvard Law School Library, Cambridge, Mass., record identifier: olvwork371847. Judge Learned Hand; by Bain News Service; Photograph; Dec. 2, 1924; George Grantham Bain Collection, Prints and Photographs Division, Library of Congress, Washington, D.C., ref. #: LC-USZ62-98139. Learned Hand; artist unknown; Photograph; ca. 1930; Learned Hand Visuals Collection, Harvard Law School Library, Cambridge, Mass., record identifier: olvwork371817. Learned Hand; by Eleanor Platt; Plaster bust; 1944; Gift of Florence Schaffhausen, National Portrait Gallery, Smithsonian Institution, Washington, D.C., ref. #: NPG.81.106. Judge Learned Hand on the bench; by PIX, Incorporated; Photograph; 1946; Learned Hand Visuals Collection, Harvard Law School Library, Cambridge, Mass., record identifier: olvwork371986; Published in Life Magazine, Oct. 30, 1946. Learned Hand, 1947; by Eleanor Platt; Bronze bust; 1947; Learned Hand Visuals Collection, Harvard Law School Library, Cambridge, Mass., ref. #: 47.4 S / HOLLIS #: 006874983. Bust of Judge Learned Hand; by Eleanor Platt; Photograph of plaster bust; ca. 1947; Learned Hand Visuals Collection, Harvard Law School Library, Cambridge, Mass., record identifier: olvwork371839. Learned Hand; by Philippe Halsman; Gelatin silver print; 1957; National Portrait Gallery, Smithsonian Institution, Washington, D.C., ref. #: NPG.84.152. Learned Hand; artist unknown; Photograph; Feb. 22, 1958; Learned Hand Visuals Collection, Harvard Law School Library, Cambridge, Mass., record identifier: olvwork371849; Published on the cover of the Harvard Law Bulletin, Apr. 1958. Learned Hand; artist unknown; Photograph; n.d.; U.S. Courts Library for the Second Circuit, Thurgood Marshall U.S. Courthouse, New York, N.Y.